Ringworm. 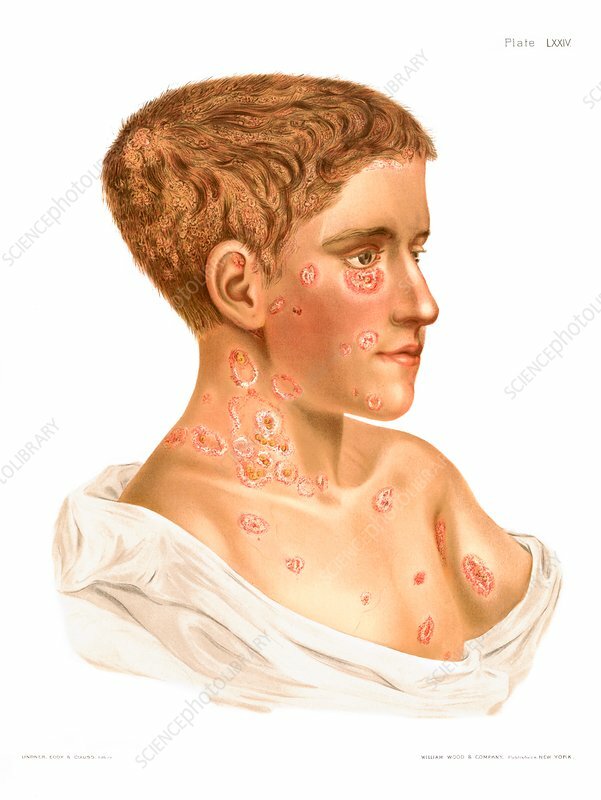 Historical medical illustration of a boy suffering from trichophytosis and favus, forms of ringworm infection of the skin and scalp, caused by the fungus Trichophyton. Highly contagious, it is spread by direct contact. The lesions cause intense itching, patches of hair loss on the scalp and scaling of the skin. From Atlas of Venereal and Skin Diseases by Prince Albert Morrow, published in 1889.